Rose and raspberry has to be one of the nicest combinations in the world. Some people find rosewater overpowering, but when I smell it I am whisked back to Fry’s Turkish Delight from childhood (and still enjoyed once every few years); that evocative scent of rose is intoxicating. 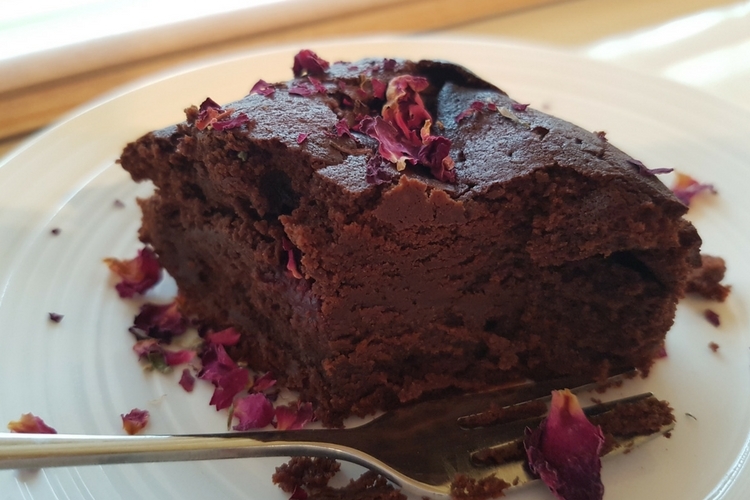 I play it safe with the rosewater in this recipe so not to put people off- it’s a delicate aroma and flavour you’re looking for, not a smack in the face with a dozen red roses- but all brands are different so add a little at a time because once it’s in you can’t take it out! 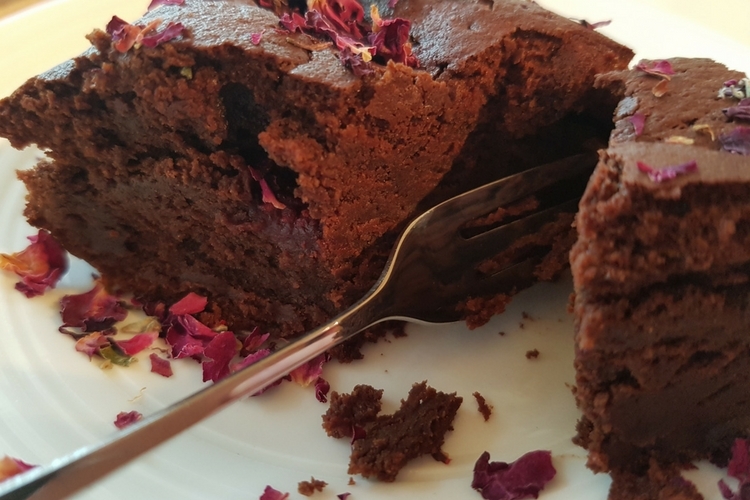 Plain dark chocolate is just fine for this recipe, but if you have a Lidl near by, pop in and pick up some of their bars of 70% dark chocolate with raspberries. It is a really good quality chocolate and has chewy pieces of fruit running through it as well as a great flavour. These are very moist and rich – a little goes a long way people! They are lovely served with a little dollop of Greek yoghurt and some fresh raspberries on the side. If you have any edible rose petals they look pretty scattered over the top and your plate. As you can see I have a little raspberry/ yoghurt obsession! Pin it for decadent treats! Retested and updated: October 2017. Hi Jennie. Thanks for such kind comments. 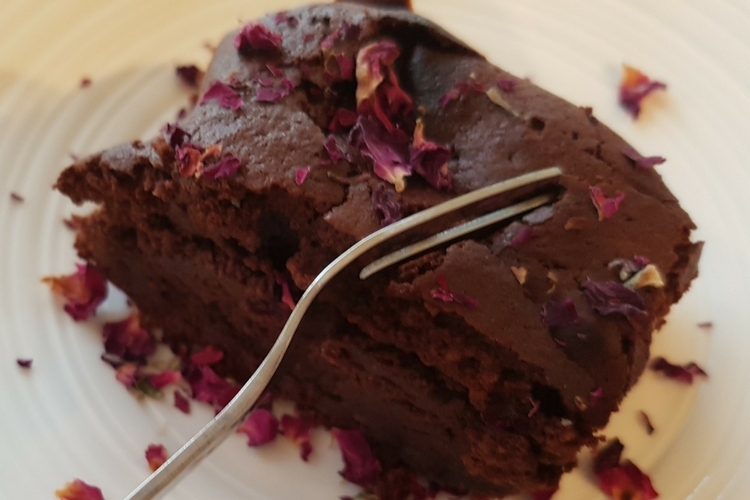 The bottle of rose water has been in the house a few months as my hubby uses it in Indian cooking but I was determined to find a sweet use for it! 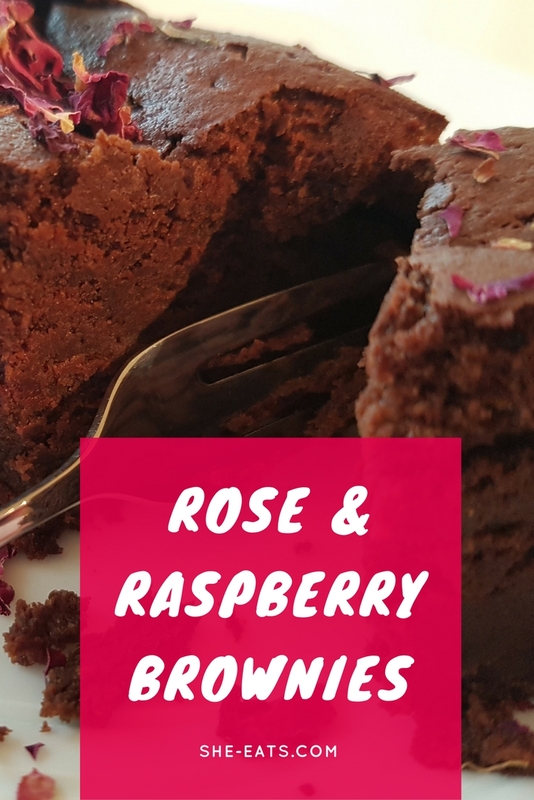 Raspberry brownies sound lovely – and so does that chocolate from Lidl. 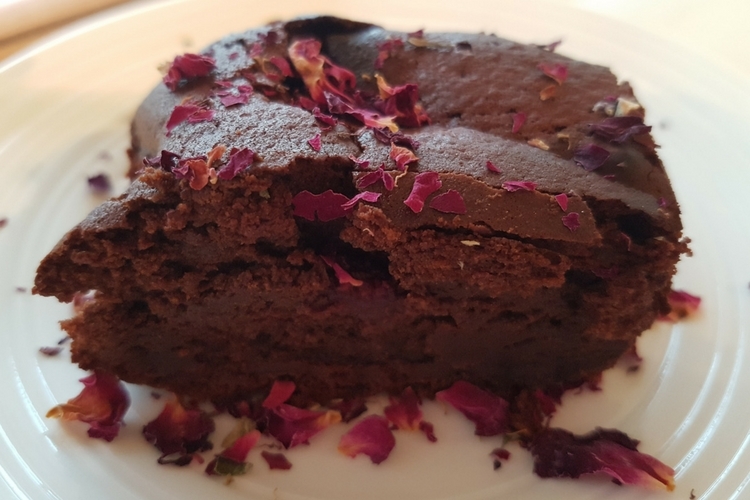 Hi Corina- it’s well worth searching the chocolate out- divine!